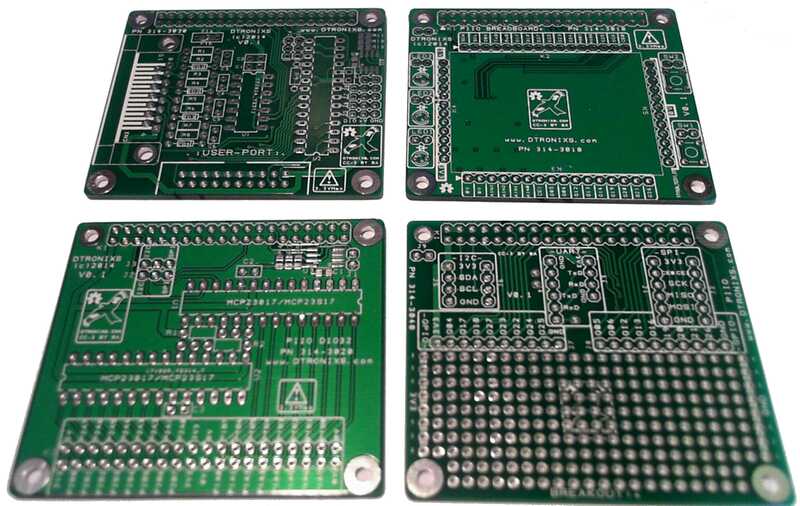 4 new PCB’s arrived in the post today. These are my first HAT’s (Hardware on Top) for the Raspberry Pi B+. UserPort is probably my favourite. It’s a mimic of the BBC’s micros digital User Port and Analogue Port. Digital I/O is provided by a I2C MCP23017 16-channel Port Expander and Analogue Inputs by a 4-channel SPI MCP3004 10-bit ADC. 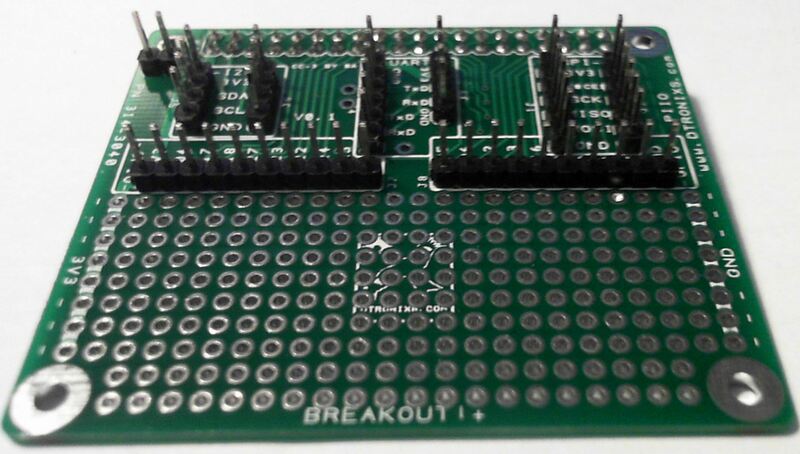 Breadboard!+ is a reworking of my earlier 170-pin Breadboard module but the extra size for a HAT PCB has allowed the inclusion of a two tactile push switches and three LED’s. As well as these, there’s also 4x Analogue Inputs using a 4-channel MCP3004 10-bit ADC. You are currently browsing the Zuzebox's Blog blog archives for August, 2014.